I'm a huge fan of Japanese dramas and I have been watching them while growing up. I have seen dozens of dramas and have a couple of favorites from different genres. Some may not have orignal themes, but they are still unique in their own way. Here, I have listed some of the best dramas in my opinion. The list does not belong to any specific genre or year. Most of these dramas are released since 2000. I know there are more great dramas that should be included in the list, but time is too little and there are so many to watch! If you know any great dramas that is not mentioned here, feel free to share it in the comments! The story revolves around a young literary editor named Onozawa Rika (Aya Ueto). She is single and knows little about love and relationship. One day, she finds herself being followed by a mysterious man (Uchino Seiyo). When she confronts the stalker, he claims that he is her husband from the future. Unfortunately, they are about to get divorced so Hiroshi comes back to prevent their marriage. The next day at a bus stop, Hiroshi the stalker shows up again and urges Rika not to take the bus no matter what. Rika complies, thinking that this would stop the man from pestering her. Unbeknown to her, this is Hiroshi's attempt to prevent her from meeting his younger self. His plan does work, albeit temporarily. Rei meets the younger Hiroshi in a completely different location and the two quickly develop feelings for each other. The drama is short - only six episodes. Despite the age difference between the two leads, the drama is surprisingly sweet and charming. It's a shame that it is not as popular as it deserves. Takakura Junpei is a 32-year-old single man who works as a marriage advisor in a matchmaking agency. He handles "hopeless" cases and usually succeeds in finding a match for his rather unpopular clients. For this, he is considered the best employee in his company. One day, Junpei is summoned to meet Yanagisawa Haruna, a new client. Haruna is surprisingly beautiful. As Junpei interviews her, a normal procedure for new applicants, he is perplexed as to why this woman with good looks and good background would go to a matchmaking agency looking for a husband. As the search for a perfect match continues, he finds his feelings growing for his client. The drama has an unusual storyline, which I really like. One of Junpei's clients, a hopeless case, is really hilarious. The drama is entertaining and contains some plot twists that I didn't see coming. Sakuraba Junko (Ishihara Satomi), a 29-year-old single woman, is an excellent English teacher. She dreams about going to New York some day and has been saving money for years. Meanwhile, as Junko is nearing 30, her family constantly worries about her not getting married. After the family attends a Japanese funeral, Junko hurts her legs from sitting on her ankles for too long. When it is her turn to pay her respects to the dead, she accidentally trips and pushes the bowl of ashes, sending the bowl to a young monk's head. Sakura is so embarrassed but cannot do anything else other than saying sorry. Days later, Sakura's family tricks her into going to an arranged marriage she has no idea about. To her horror, the prospective groom is Hoshikawa Takane (Yamashita Tomohisa), the young monk at the funeral. She wants to cancel the marriage, however, the monk starts treating her as his fiance and would not stop showing up wherever she goes. From Five to Nine is a very cute romantic-comedy. This may not be everyone's cup of tea, but it is unusual to have a monk as the leading man in a rom-com. It's quite refreshing to watch and I like how in each episode, the monk reveals a little about his growing feelings for Junko. I like the two leading actors, especially Ishihara Satomi who has done a splendid job in portraying her role. If you're into romantic comedy, this is a must-see drama! 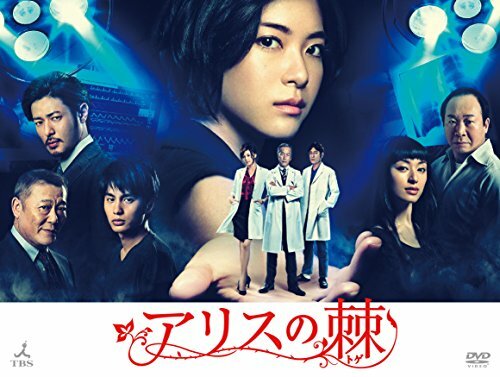 Alice no Toge is a 2014 Japanese drama starring award-winning actress Ueno Juri as Mizuno Asumi. The story revolves around Asumi, a medical resident who has been plotting to avenge her father's death for years. She suspects medical malpractice was the cause of her father's death and that some doctors had tried to cover it up by changing the medical records. To add insult to injury, her father had been accused of corruption. She is determined to find out the truth to clear her father's name. Asumi studied medicine and got herself into the same hospital her father used to work in. In her apartment, she has a wall filled with photos of suspects. She decides to bring her targets down one by one. To each target, she sends a threat message including a picture from Alice in Wonderland. As she confronts each of her enemies, she would gain new information which leads to more suspects. She realizes that the motive for her father's murder was not as simple as she first thought. Her mission becomes more dangerous and some people's lives are at stake. This is one of my favorite Japanese drama. The soundtrack is amazing. The acting is superb. As the plot thickens, you will be sitting at the edge of your seat, wishing that the heroine won't get into trouble. I wish that more dramas are like this! If you're looking for a thriller, I highly recommend Alice no Toge. Just make sure that you don't have any heart problems. The story begins with Iwase Ken (Yamashita Tomohisa) running late for what seems to be his wedding. As he fixes his appearance, he enters a banquet where we see the beautiful bride Rei (Nagasawa Masami) on stage. However, the groom is not Ken. We quickly learn that the bride is his childhood best friend whom he has been in love with for years. He took her for granted and has never confessed his feelings until another guy did. Now he regrets every missed opportunity in the past. A slideshow of the bride starts to play on the screen. Then, the room freezes and a man appears in front of Ken. The mysterious man offers to give Ken a second chance to correct his past. All he has to do is to say the magic words while doing a funny gesture, and he would go back to the time of the current picture on the slideshow. To his surprise, the magic works and he is now back in the past. Now that he has this rare opportunity in his hands, he has to make sure that he will be the man standing beside Rei when he returns to the present. The drama is a story of love, courage, and friendship. It's about not taking things for granted. It is quite funny and touching. I really love it! Roccabianca is a family-owned Italian restaurant that is known for its authentic food and great service. 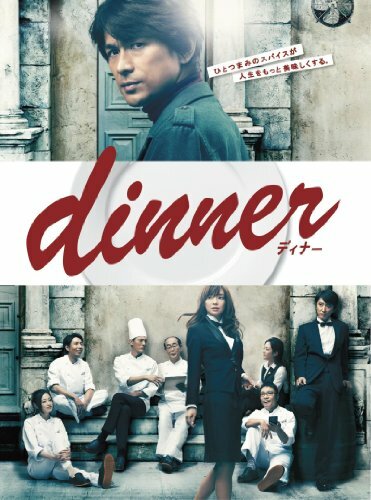 It is in its prime when its owner Tatsumi Hideo suddenly collapses, leaving his daughter and restaurant manager Saori (Kurashina Kana) on her own. Without Hideo, the restaurant is barely making it. It starts losing its patrons, including the most loyal ones. To save the restaurant, Saori decides to hire Ezaki Motomu (Yosuke Eguchi), a very talented chef that is a bit eccentric and antisocial. The sous chefs are skeptical about the new chef. Some feel betrayed and hurt by Saori's decision. They also don't like the idea of having a new chef giving them orders. However, as the restaurant slowly recovers, the sous chefs start to trust and respect Motomu. The drama is a great joy to watch, not to mention the mouthwatering foods! Dinner teaches about the importance of passion, hard work, and camaraderie. This is one of the best Japanese drama in my opinion. It stars Takayuki Yamada and Haruka Ayase, who both won the best actor and best actress for their roles. I used to hate tear-jerkers because I thought they're too maudlin. This one changed my mind. The theme is probably a bit cliche (someone dying from cancer) but the story's delivery is outstanding. I love every bit of it. The story is about a man named Saku who had been trying to get over his girlfriend's death. He met Aki when he was 17 years old. Both of them were from the same school. He was attracted to her strong character and to her unwillingness to be defeated. Shortly after they became a couple, Aki fell ill and was diagnosed with stage 4 leukemia. While Aki was in a hospital bed, Saku went on a graduation trip to Australia. On Ayers Rock, he was captivated by the beauty of the blue sky, so he took a picture of it and gave it to Aki when he got back to Japan. Since then, he started taking photos of the sky. All his photos were posted on Aki's ceiling so she could look at the sky while on her bed. The couple tried to make the most out of their limited time. Aki insisted that she wanted to see the blue sky at Ayers Rock, which was believed to be the center of the world. Saku was hesitant but he could not refuse his girlfriend's last wish. They sneaked out of the hospital and went to the airport together. Aki was already very weak. She passed out at the airport and was rushed to the hospital. She died at the hospital and Saku was blamed by Aki's dad. Seventeen years later, Saku was still mourning for Aki. The story switches between the 17-year-old and the 34-year-old Saku. It's a story about grief, acceptance, and moving on. This is a drama where most of us can relate to. I give this drama a perfect score.